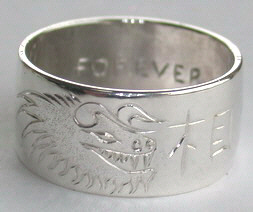 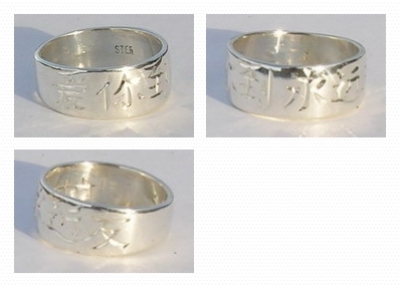 There are ( almost ) unlimited inscriptions for Kanji and Chinese character rings. 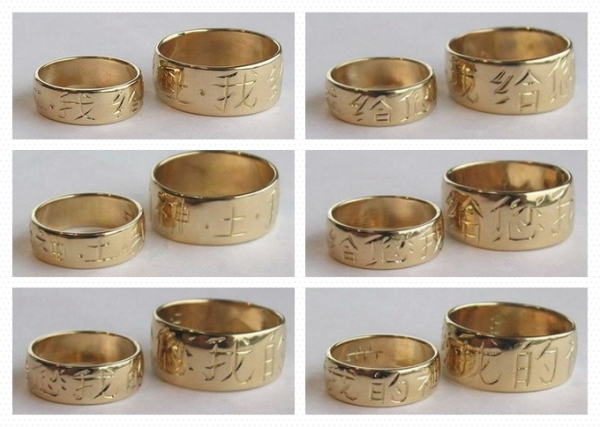 These are only a few samples of what we have done. 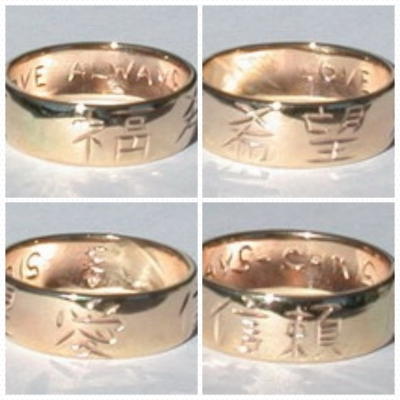 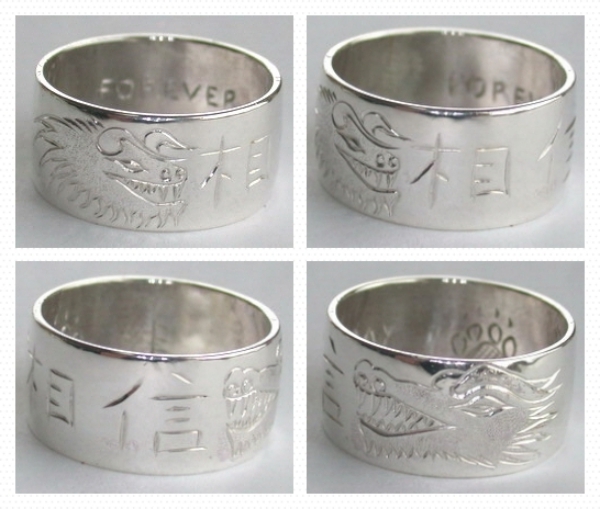 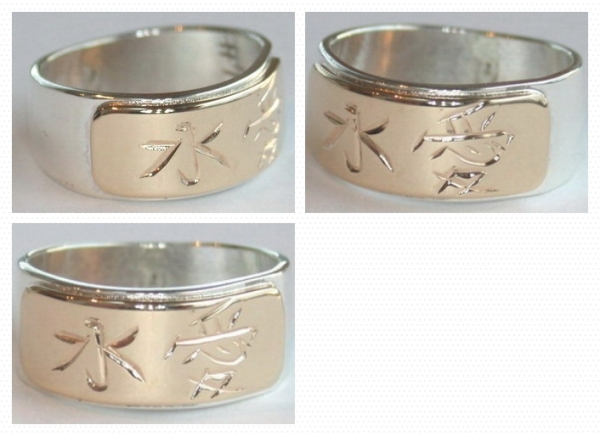 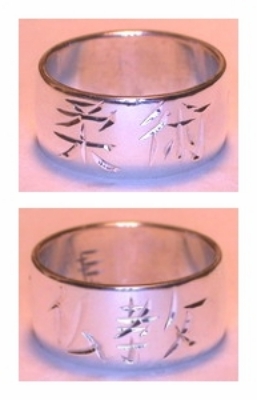 Kanji Chinese Rings – Kanji, Katakana, Hiragana, Romaji and Chinese character symbols in Silver gold and platinum. 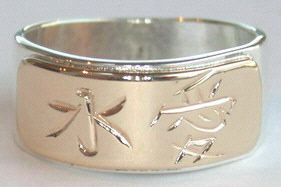 Engraved custom expressions and symbols including courage, body, mind, spirit, eternity, true,love, and any number of words and expressions you can think of.